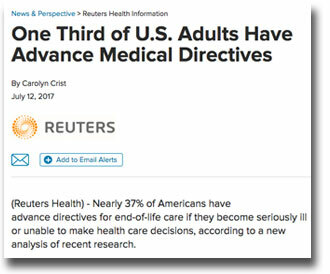 Researchers tell us that a little over a third of Americans have an Advance Directive. Among those with a chronic illness, only about 38% do. This may indicate that people don’t like to think about end-of-life matters, or that we really are not sure what to state about some issues, or both. Perhaps if we had firm convictions about organ donation, we would state them. Can the Church help us out? Bible-believing Christians would consider this statement to be wrongheaded. And it has no comment on organ donation. 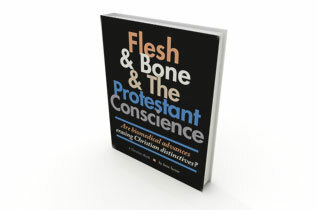 Often Christian denominations have extensive statements on social justice but it seems the bio-medical dilemmas have caught us by surprise. This statement does not speak to the live donor of a kidney. It only addresses the supposed dead donor. A member of that denomination would still need to find out if it is OK with God for a living person to donate a kidney. We commit ourselves to completing advance directives (e.g., living wills and proxies) as an affirmation of our beliefs about life and death and as a symbol of our commitment to stewardship and justice. This is interesting, considering that an advance directive likely will require the signee to make known if he or she wishes to be an organ donor. So, again, where is the guidance? Perhaps it is understood among the members, but I’m guessing it is unclear to them. The Southern Baptist Convention has a fairly comprehensive affirmation about organ donation, and their website includes a Resolution on Human Organ Donations, formulated in 1988. WHEREAS, Organ donation for research or transplantation is a matter of personal conscience. This type of statement troubles me. Here, a conservative Christian denomination approves of organ donation even while recognizing it may be objectionable to an individual’s conscience. Which is it? OK or not? OK for you if you think it is? That is not helpful. You have told the person who can’t figure it out, that it is fine as long as it feels right. What if we used that same approach with the abortion issue? Imagine the outcry! The problem is, these new biomedical practices are not familiar to us. They have been legalized and government funded so we accept them as safe and advisable. There are movements and organizations urging us to adopt them as our way of life. Our churches debate and promote them, generally. Yet, there is a gray area. As noted already, the focus of this blog series is only on kidney donation, not organ transplantation whether from living or dead donors. These are separate categories though they have much in common. Probably, church position statements need to address both scenarios. I personally know of a pastor who ended his service recently by announcing he was on a waiting list for a kidney. This was in a Bible-believing, protestant denomination. He is in his 60s. Will anyone in his congregation step forward to be that donor? Would you? If you want to do further research on the positions that religions and religious denominations hold on organ donation, here are some links. I have not found a Christian denomination that opposes organ donation. If you, as a Christian, oppose organ donation, you are swimming upstream. But really, are you salt and light if you are an organ donor, and in particular, a kidney donor? If you refuse to be one, are you unloving and unreasonable? After all, you only need one kidney.